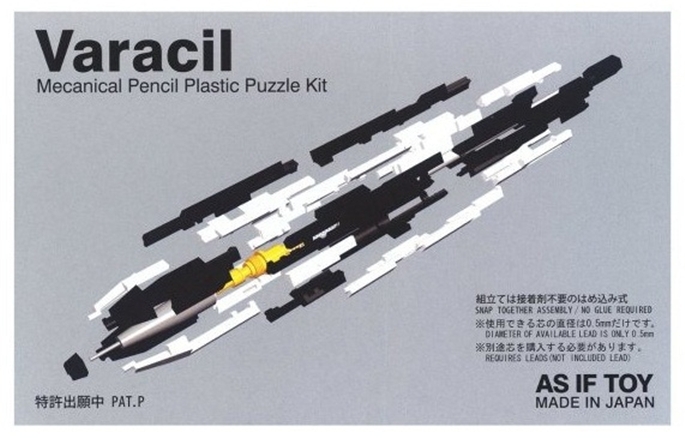 Puzzle lovers can procrastinate and get busy assembling their own pencil with Varacil, a “Mechanical Pencil Plastic Puzzle Kit”. The kit is manufactured by Japanese toymaker, As If Toy. Once you open the box, you will see around 22 plastic parts. The pieces don’t have to be glued. You can just snap it together and it can be completely assembled in around 40-50 minutes. The Varacil is sold for only 945 yen or US $10.90.